Have you ever taken an online training course designed with flashy graphics and animations as well as narration all coming at you all at once? Well I have, many times, and frankly, it is overwhelming, and literally exhausting to go through. But, this can be remedied if you design online courses with practical learning principles in mind. All the technology today has allowed us to create very visually appealing content, but are we REALLY getting value out of this? All the technology today has allowed us to design very visually appealing content, but are we REALLY getting value out of this? Yes, it does look good, correction -- fantastic! Buutt...is our audience learning well this way? I know this style is the basis of e-learning today, but frankly I learn better by DOING! A lot of time and money gets spent on focusing on the multimedia aspects and not the learner's needs. The lowest common denominator in everything in life is that at some point WE have to DO it, so why aren't we incorporating more "doing" into our online learning? I'm not saying everyone isn't doing this, but I'm saying that a lot of time and money gets spent on focusing on the multimedia aspects and not the learner's needs. So how does this affect you as an E-Course Entrepreneur? 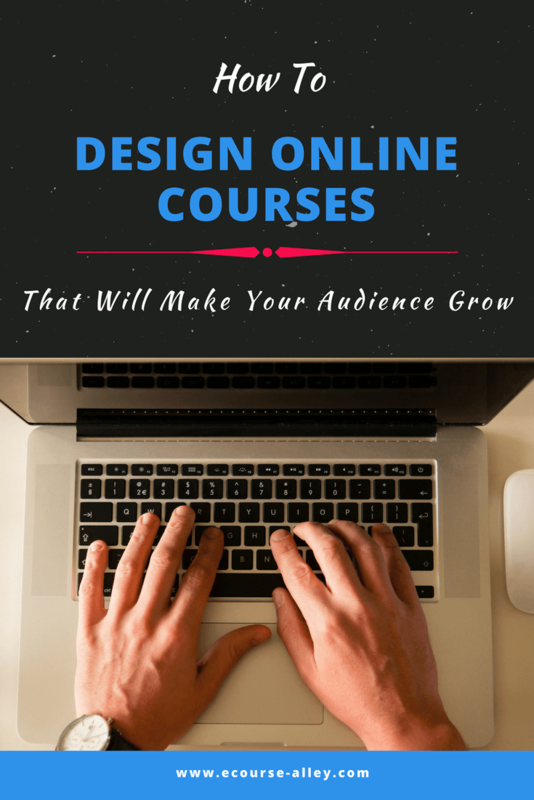 How can you design online courses to engage your audience? Well, I'm sure you would agree that you want to help people learn in the most effective manner whatever it is you are teaching or going to be teaching through your online courses. I also gather that you want to figure out the best way to teach them digitally - i.e. without you physically there in person coaching them. So, how do you figure out how to do this and stand out above any others teaching similar or the same topic in your niche? The answer is: Teach them by doing! Dive right into a problem or scenario. Yes, I know, it is good to introduce the topic, etc., etc. first, but most people want to get to the MEAT of what you are trying to teach pretty much from when they start your course. They don't necessarily want all the fluff -- and they can probably look any theory up online anyhow. But, you as an authority on your topic have a unique angle. You can guide them through a practical example or a challenge and you can organize the material in a logical flow that they wouldn't necessarily get by searching for the information online. Many years ago I start taking salsa dance lessons. I had done other dance forms before, like ballet, but I wanted to learn this fast partner dance. However, after taking numerous lessons I was still struggling with the basic step. I mean, I had the mechanics of the steps down pat, but I couldn't FEEL it. I couldn't move properly to the music. Even though I was practicing and taking classes, it just wasn't clicking. In each class, we would do a short combination and dance with a partner, but it just felt mechanical. Then, one day, the instructor asked if any of us wanted to try out to be in a performance. I know what you are thinking -- how can beginners join a group to be in a performance? Well, this instructor knew something maybe we didn't realize then, that if we focused on doing a performance, the feeling of the dance with the music would come more easily because we would be applying it and learning choreographed steps that we would practice over and over until we would know which note and beat of the music they were to be executed on. Well, that is exactly what happened! By just diving in and learning a choreographed dance when I was a beginner, I went from a beginner to an intermediate in a matter of a couple months! The moral of this story is that you have to take action, you have to "dance" a choreographed dance to internalize what you have been learning. In my opinion, it is one of the best ways to have something just "click." Now we are going to talk about how to attract your audience to come back for more! If your audience can learn from you and transform themselves so that they can apply what they learn and be successful, then they will come back for more. They may also refer you to others and share your content on social media. Wouldn't that be nice? Well, there are probably a few ways, but for the sake of this blog post, I will focus on how to get to the "meat" of what you want your audience to take away from the training right upfront. Present a real-life scenario in the beginning of your lesson or a problem/pain point to solve and then "walk" your audience through the process of solving the problem or show them how to achieve success in your scenario from A to Z.
I mean, you may still start with some intro material, but in essence, you will begin with a scenario or problem to solve so that your audience will know what you are working towards achieving right away. Not halfway through or towards the end of your course. Now, maybe you are thinking, "But I have to introduce them to the basics first, so how can I start out with a scenario? Isn't that like diving into the deep end of a pool in order to learn to swim?" Yes! Absolutely! But, that is what I'm talking about: Present a real-life scenario in the beginning of your lesson or a problem/pain point to solve and then "walk" your audience through the process of solving the problem or show them how to achieve success in your scenario from A to Z. This way, they will already be seeing how to apply their knowledge instead of just watching/reading the theory on it and not getting to the practical stuff! After you have taken them on this scenario journey, then you can have them try to work through a scenario or problem on their own in the form of knowledge check questions and provide feedback to them so they will better understand what they did right or wrong. Or, you could offer up a practice scenario or problem and then have set "office hours" that you would be available LIVE for people to ask you questions about the problem/scenario. Now, depending on your niche, this may not work for every situation, so an alternative to having a problem/scenario for them to go through on their own could be to have them apply the knowledge they gained from your e-course to their actual situation and then invite them to a course Facebook Group (which you would create). This way, they can ask follow on questions to you or other members of the group, and as a bonus, it will help you grow a community of like-minded individuals. 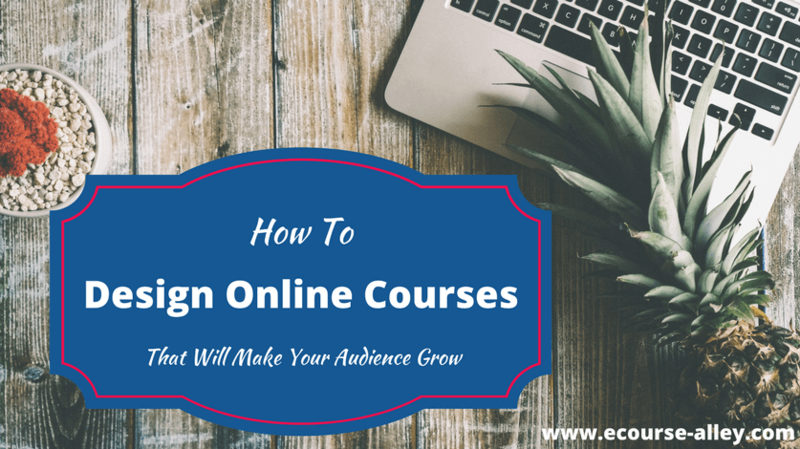 Setting up course challenges within your courses is another way to increase engagement and ultimately grow your audience. Specifically, what I mean is somewhere within your e-course (which you can allude to at the beginning of the course), set up a challenge for your learners to complete that is related to your niche and the topic of your course. A Mini E-course Creation Challenge - I had to start with the most obvious one! This would be a challenge to create a mini e-course (so it is not too overwhelming for your learners) perhaps within a specified period of time. Then, create a closed Facebook Group where individuals would share their experiences and you would answer questions pertaining to how to create a mini e-course related to your niche. You could also award "stars" or "badges" for people reaching certain milestones in the course creation process to help motivate them. An Opt-in Freebie Challenge - So, similar to the mini e-course creation challenge, the goal here would be to create at least one opt-in freebie for their audience (or maybe you could increase this number if you feel one freebie is not enough). You could outline the steps in the basic process and again award badges for people completing certain steps to help with engagement. A Social Media Challenge - You could have a challenge related to growing an online presence in your specific niche with certain social media platforms like Facebook, Twitter, Pinterest, Instagram, etc. Again, having incentives for reaching a certain amount of actual leads or subscribers would help to engage and motivate your audience. Of course, you would also walk them through strategies of how they could secure followers and subscribers as part of the challenge. These are only a few high-level examples of challenges you could do, but I'm sure you can think of others more specific to your niche that would be great to help engage your audience and make your audience grow! We have covered a lot in this post: from learning by doing and getting to the "meat" of your training right away by starting with a real-life scenario or problem, to cultivating course challenges to engage, motivate and create a sense of community spirit amongst your followers. If you are able to implement these suggestions, tailored to your specific niche of course, then you should be able to experience a difference with engagement of your learners, gain more referrals and leads and ultimately grow your business. Leave a comment and let me know if you were able to implement a scenario or a challenge into your e-course and what was the result? P.S. Sign up below to become part of the e-course alley community and as a BONUS you will get access to my exclusive ECA FREE Resource Library to help you along your e-course journey. I saw you tweeting about social media and I thought I’d check out your website. I really like it. Looks like Heather has come a long way! Thanks Chris! There is lots more to come. If you have any questions or would like some help with anything related to online course creation please let me know. Thanks for this article and the emphasis on practical examples. I’m starting some courses on the Teachable platform so I’ll sign up for your newsletter and hope to pick your brain a bit. One question now though. How did you get so many Pinterest followers? Is it your subject matter, or other? I’m a newbie to Pinterest but not getting traction. For sure, I’m happy to help. Were you able to sign up for my newsletter? I did not see you added.